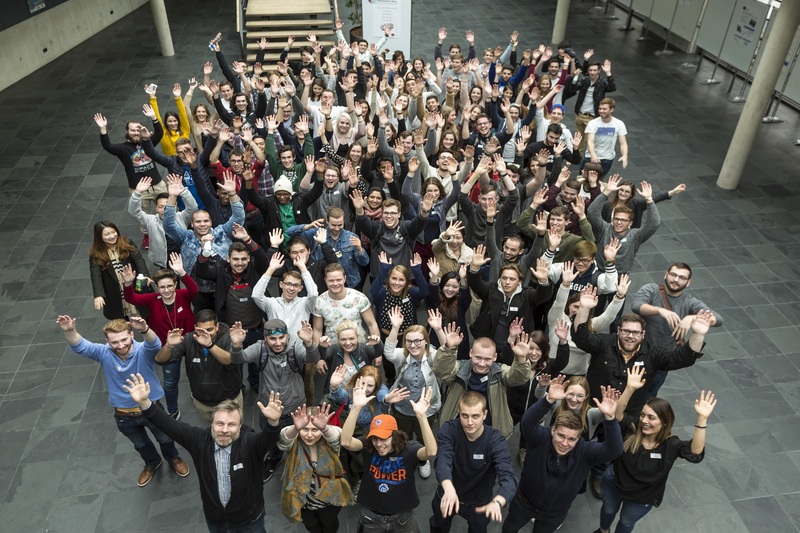 Munich University of Applied Sciences has over 180 partner universities and is delighted to welcome a large number of exchange students every semester. Any student from our partner universities, who wishes to study at our university, can find all relevant information on application and the exchange at MUAS on these pages. Please have a look at the academic calendar for more semester dates. 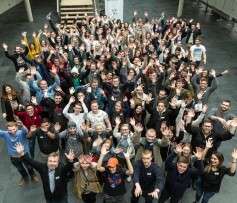 Munich University of Applied Sciences does not require any German language knowledge confirmation from exchange students. However, students planning to attend courses in German should have German language knowledge of at least level B1/ B2 to be able to follow classes properly. Munich University of Applied Sciences requires a confirmation of English language knowledge of at least B2 from exchange students who want to take Courses in English. The confirmation is part of the application documents (see section "Application Documents"). Please note: Only official confirmations can be accepted. More information about accepted types of confirmation can be found in the section "Application Documents". Students from partner institutions may apply for the exchange programme at MUAS for one or two semesters. Please note: Applications which are received after the deadline or incomplete cannot be accepted. Selected students must be nominated by their home institution via email before starting the application process at MUAS. Your coordinator needs to send the nominations to the International Office or directly to the responsible coordinator in the International Office. Please use our Online Application System to apply for one or two exchange semesters at Munich University of Applied Sciences. The link to the Online Application System (Application form A) can be found in the section "Application Documents". Please send your scanned application documents via email as one (1) PDF-File with max. 5 MB to the International Office. Design students can send the Portfolio separately. You can also fax the signed document to 0049-(0)89-1265-1140. You will not receive immediate confirmation that your application documents arrived. If they arrive more than two weeks before the deadline, we may be able to review it and confirm the receipt. If it arrives close to the application deadline we will process your application after the deadline. Letters of Acceptance will be sent to you within one month after the deadline. The countersigned Learning Agreement will be returned via email after the application deadline. In case you have to withdraw from the exchange programme, we kindly ask you to immediately inform the International Office. Please print out the created PDF, have it signed and send it to us by email. - If you are a native English speaker or you study in the UK or Ireland, no proof is required. However, a reference to it must be stated on the application form. - If you live and study in a country where English is the main language, you do not have to provide any kind of language certificate. - If your study programme is solely taught in English, please provide official confirmation of that (e.g. a letter from your home university). We cannot accept TOEIC or TOEFL ITP! Please note that the language certificate must not be older than 2 years and in English or German. E. Health Insurance (students from EU and Switzerland) Please upload a copy of your European Health Insurance Card (EHIC, E-111 - blue card, CEAM, TSE) valid for the whole duration of your stay in Munich or, if you have a private insurance, a document of your insurance company that confirms sufficient insurance coverage during your whole stay in Munich. - Erasmus+ Non-European students from EU-countries: if you do not possess an EHIC, no confirmation is needed for the application but kindly inform us about whether you are insured or will take out insurance in Germany. Please upload a PDF which states whether you will take out German insurance or whether you have a confirmation from a German health insurance that your health insurance is valid in Germany. - Turkish students: After having received the Letter of Acceptance please apply for the AT-11 form and send a copy of it to us. The document can only be issued after you have received a Letter of Acceptance. However, please upload a document informing us whether you will keep your Turkish insurance or take out German insurance. - Information for all students: Travel insurance is not sufficient for studying in Germany! We cannot accept any travel insurances. If you cannot provide us with a health insurance card or document, please contact us before the deadline ends via email. We recommend to read through our Health Insurance document. F. Learning Agreement (for Erasmus+ students) The Learning agreement is provided by your home university as part of the Erasmus+ programme. Please have a look at our Learning Agreement fill-in help document. The Learning Agreement will be returned signed via email after the application deadline, provided that you have sent all necessary application documents and got accepted. G. Portfolio (for Design students) Please attach a digital Portfolio as PDF (max. 5MB). As a general rule, final course selection and registration do not take place until you have arrived in Munich. If you have to put together a Learning Agreement or Study Plan beforehand, please use the lecture timetables from the previous semester as a guide or ask your departmental coordinator at MUAS for advice. The Learning Agreement can be changed after the student has arrived. More information about the Learning Agreement can be found in the section "Application Documents". Courses from the various departments are open to all exchange students enrolled at MUAS irrespective of their own field of study and as long as prerequisites are fulfilled and/or places are available. Contact persons for exchange students . All MUAS exchange students who are spending the 2018 summer semester at MUAS as part of an exchange programme.